Page view compliments of Anutra Medical Inc. 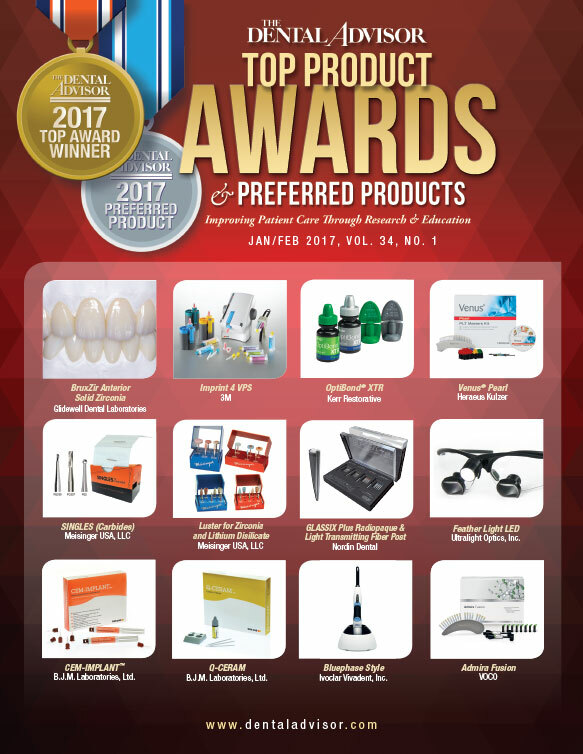 Very comfortable for patients – use one drop as a topical anesthetic. 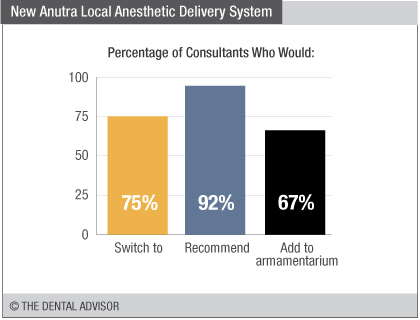 New Anutra Local Anesthetic Delivery System was evaluated by 12 consultants with an average of 28 uses per consultant. 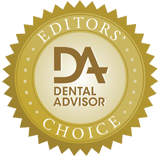 Painless and comfortable for patients. Can give a patient multiple injections without reloading. Administration of infiltration and block local anesthesia. Local anesthesia onset within 45 seconds for infiltration and 2 to 3 minutes for blocks. Syringe Includes haptic and audible feedback, letting you feel and hear each time you have administered 1 mm of the solution. Training is provided using an iPad and app (returned to the manufacturer after use). 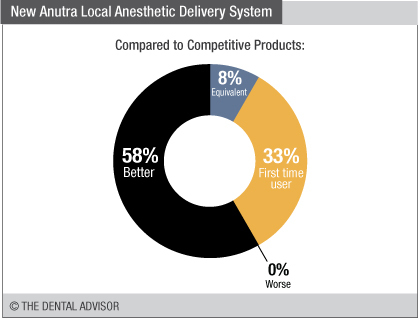 New Anutra Local Anesthetic Delivery System is a buffering and delivery system that raises the pH of the injected solution from approximately 3.5-3.9 to an effective pH neutral range, similar to that naturally found in the body by combining lidocaine and sodium bicarbonate. 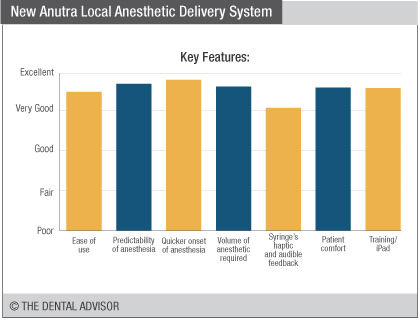 The buffering and delivery system reduce onset time for profound local anesthesia and increase its predictability. 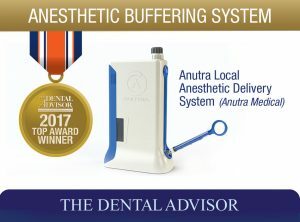 New Anutra Local Anesthetic Delivery System consists of the Anutra Cassette that allows for the mixing of lidocaine and sodium bicarbonate in a closed, filtered environment, the Anutra Dispenser that precisely buffers (mixes) at the correct ratio, and the lightweight Anutra Feedback Aspiration Syringes. The Anutra Starter Special, which is everything a practitioner needs to start buffering with Anutra includes: 1 Anutra Dispenser; 2 Anutra Cassettes; 2, 10 mL vials of 8.4% sodium bicarbonate; 2, 50 mL vials of 2% lidocaine with epinephrine 1:100,000; 100 Anutra Feedback Aspiration Syringes; 100, 27-gauge needles and 100, 30-gauge needles; and a laminated user card.